Stock or Performance P7100 pumps and service. 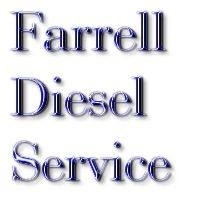 DieselTuff is proud to be the northern dealer of Farrell Diesel Service injection pumps and services. Seth Farrell has built a reputation as one of the top injection pump builders in north america. Farrell Diesel pumps use genuine Bosch parts and are smooth, while being able to flow big fuel. Stock Injection builds to custom 16mm 6500rpm race/puller pumps. P7100's & VE pumps/services, don't quaify for free shipping. 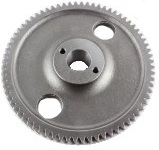 Please contact DieselTuff for a shipping quote, prior to purchasing. Lead times can vary as much as 3 weeks depending on work load at any given time. Please inquire by email if you can't wait. This won't get you a pump ahead of anyone but will give you a ball park on lead times. Please read instructions for shipping your core at bottom of page. Let the pump drain all oil for at least a half hour by standing it up on the shaft. Then tip it back down on its side to drain fuel for a while, then back up to drain oil again. This gets almost all the oil out of the pump and saves the box from getting oil soaked. Next you need to remove all the "accessories and brackets" from the pump. The shop does not need them to calibrate the pump, they usually get broken in shipping, poke holes in the box. All the throttle bracket and linkage assembly only ....but leave the throttle & shut off lever on. Remove the shutoff solenoid and bracket. Next thing, DO NOT USE ANY FORM OF TAPE TO SEAL FUEL INLET/OUTLET, OIL FITTING, OR DV HOLDERS!!!! It turns into a nasty form of adhesive goo that is a pain to remove from the pump and angry pump guys' hands. (the bag will catch any residual oil from the pump without ruining the box during shipping. your pump will get damaged in shipping, it's just that simple. Do not use packing peanuts as packing material, these pumps are heavy and they will not protect it during shipping. pumps surprisingly well. Wad the paper up and toss it in the box until the box is full of paper, then drop your pump in. Now wad up at least the same amount of paper and put it in front, behind, on the sides, and over the top of the pump. If you think it's full of paper and packaged well, add some more paper just to be safe. it will compact down nicely when you close your box and tape everything shut.